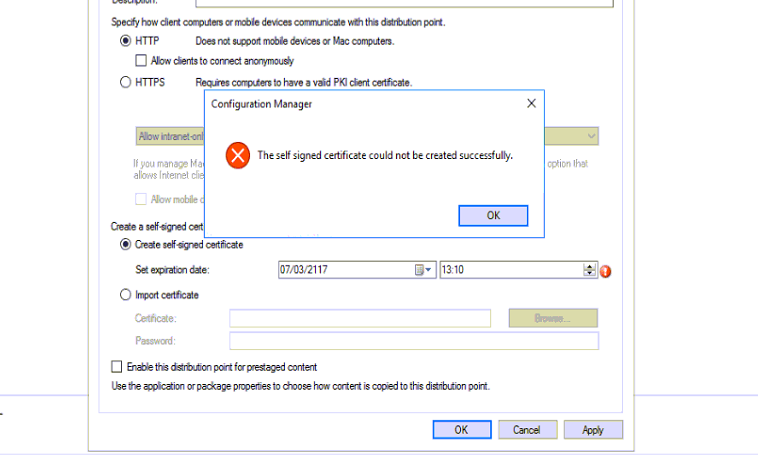 It freaks me out, didn’t understand what wrong I am doing and After I restarted the machine twice I noticed that I am logging as temp user and SCCM can’t apply this setting to this users. Please fix your profile and then try to set the configuration again it will work like charm. Another solution that can help you is opening “C:Users<user>AppDataRoamingMicrosoftCrypt.” and delete any available key you found there. I don’t know what is the point of adding domain admin user to domain guest group, but I suppose to deal with this unexpected problems as well. Hope it was useful guys!